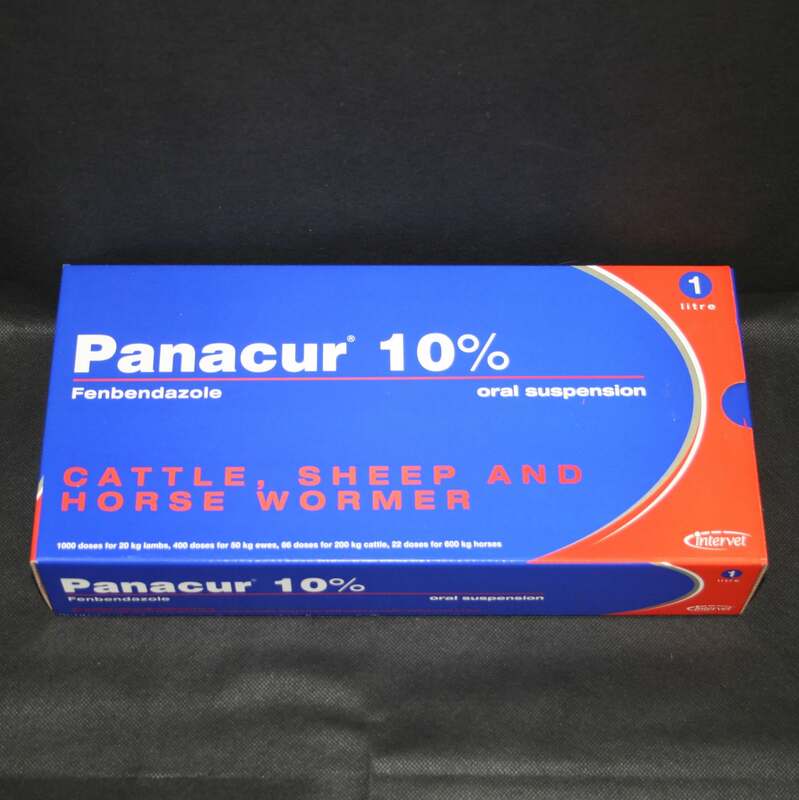 Panacur 10% Oral Suspension is a worming liquid that contains Fenbendazole. Give 5mls per 65kg eg a 585kg horse will require 45mls per dose. Therefore the 225ml bottle will do a 5 day course for a 585kg horse. It is effective against small strongyles; large stronglyes; ascarids (roundworm) & pinworms. When given daily for 5 consecutive days, it is also effective against small redworm larvae encysted in the gut wall (the only other wormers to do this, are those containing Moxidectin). It is important to treat for encysted small redworm larvae every year, between late October - December. Warnings & Contraindications- Wash hands after administration.